Hello. My name is Andi and I might be addicted to Pinterest. It started out innocently enough. I joined Pinterest and began lurking at the beautiful photos that were on display. Then I starting pinning and liking and the next thing I know I am up to 8 boards and with no end in site! What is Pinterest you may ask? Well straight from their website it is: social catalog service. Think of it as a virtual pinboard — a place where you can post collections of things you love, and “follow” collections created by people with great taste. So for this edition of J’adore I am dedicating it to my new favorite photo topic…suitcases! I have included the proper photo credit for each image I have selected and if you click on an individual photo you will get to the original image. 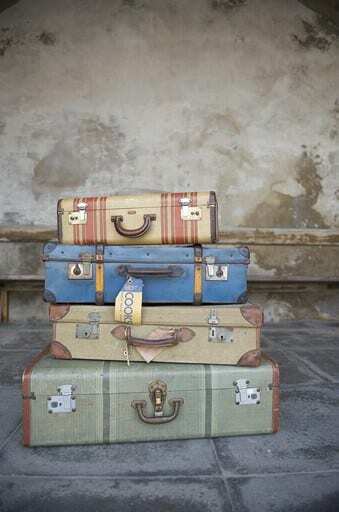 Love the idea of re-purposing vintage suitcases! This one is making its second appearance on J’adore because I love it so much! 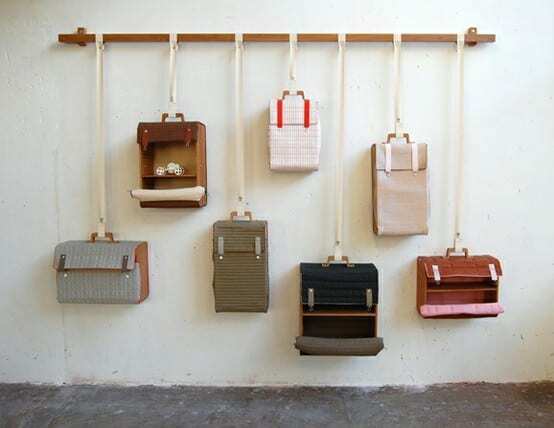 Suitcases as storage and art! 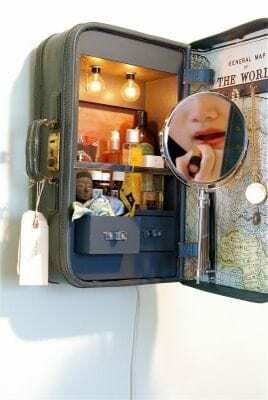 Suitcase vanity cabinet – so original! 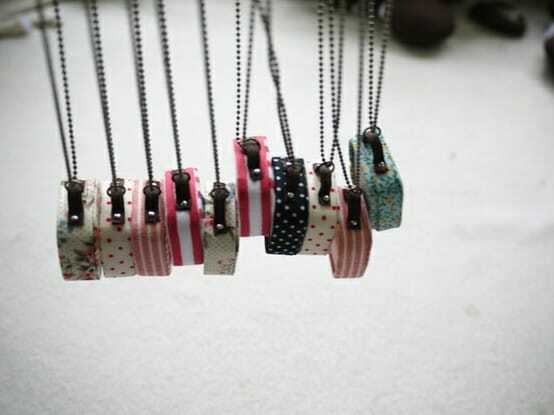 Suitcase necklaces…how adorable is that?!! If you want to see more of my favorite suitcases photos, check out my board on Pinterest. Although I caution you that you may become addicted as well! I’ve been addicted since its inception; no remedy in sight 🙂 Will find you on there! @Lindsey, you got me sucked in for another hour! The chair and the vanity case are so chic! Love it! @Christine, I know so original! 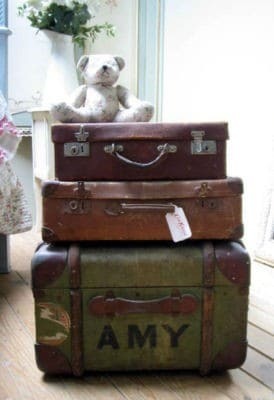 I want that AMY suitcase so bad! Forget airline regulations – I’d pack it full of pretty things and fly to Paris with it. I’ve just discovered your blog – What a delight. I look forward to many more hours reading it! @Amy, hello and welcome! I am so glad you stopped by, now I can go visit you! Love love love and they match your social media icons! @AndiP, they are great right?! I wouldn’t mind having the suitcase chair and vanity. Those are genius. Great site you have here by the way! @Suzy, thanks, I love the vanity as well! Wow, thanks for introducing me to it. That first photo was made for me! Love the suitcase chair too. So much fun stuff. @Amy, be careful, it’s addicting! 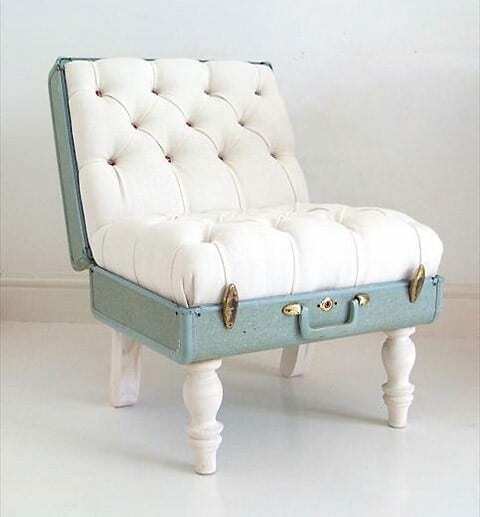 I love the suitcase chair!